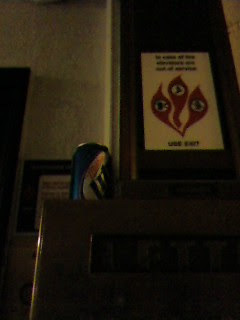 Nothing says "fire safety" like an open can of beer! Hey, it IS Miller Lite, the classiest of beers. I was about to say that this reminds me of Riverpark, but in R-Park it would be Natty or Keystone.